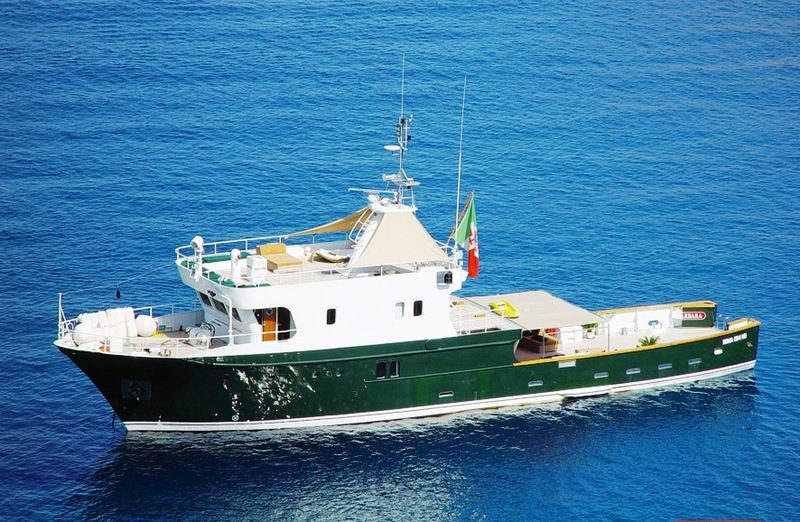 Motor yacht NAVE BARBARA is a 30.50m (100’) charter vessel that is ideal for corporate event charters, parties or private charters. 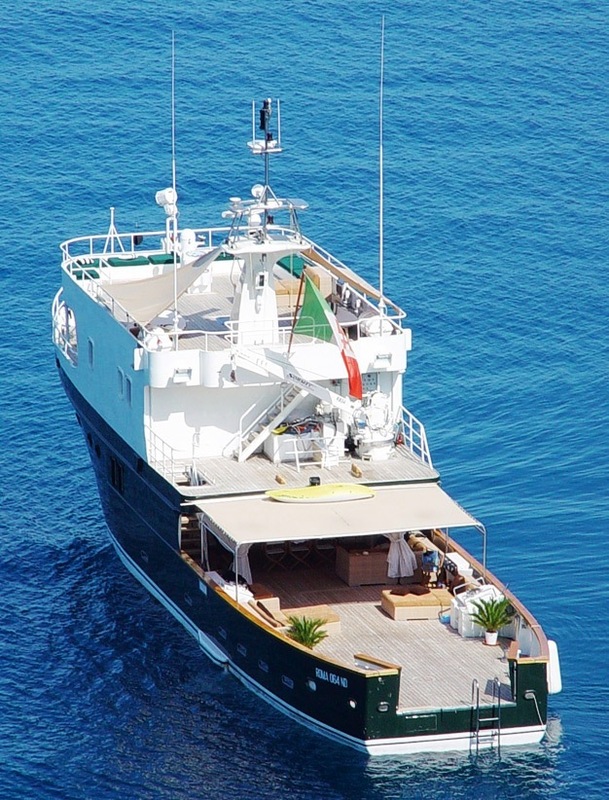 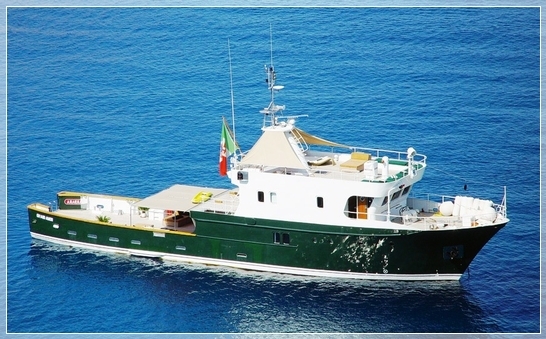 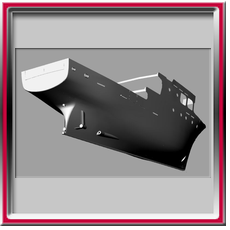 She was built by the historical Senigallia shipyards as a deep sea fishing vessel and was subsequently used by the Italian Marine as a patroller. 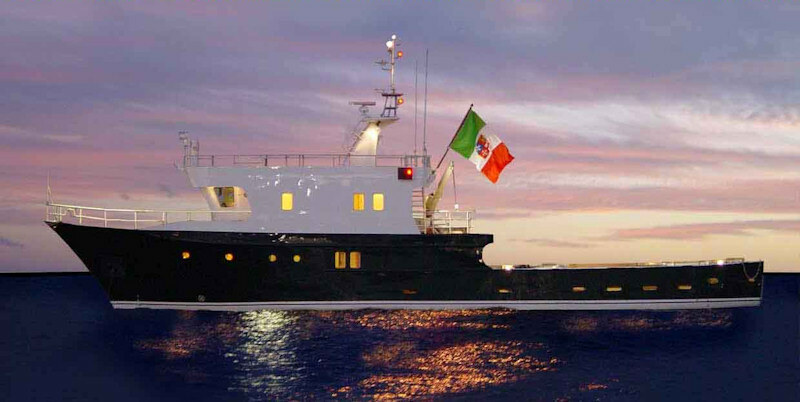 The entire vessel was re-structured over a three year period and is now the ideal yacht boat to enjoy a unique cruise in the most spectacular locations. 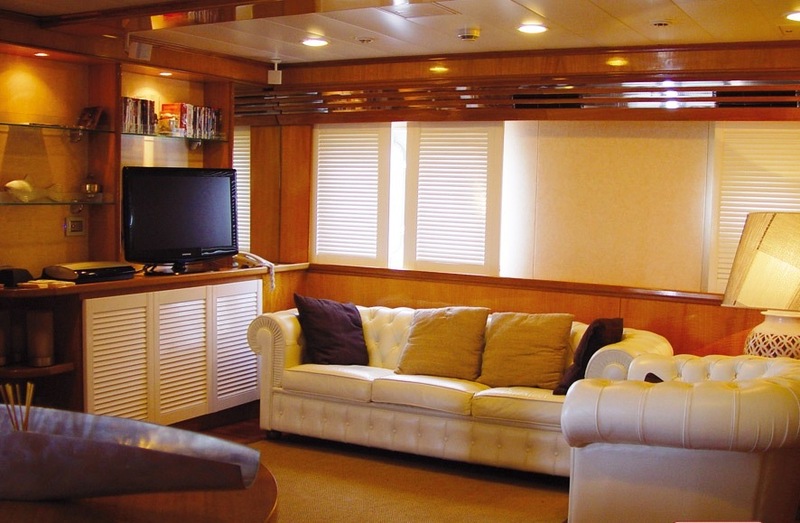 The interior is elegant spacious and comfortable. 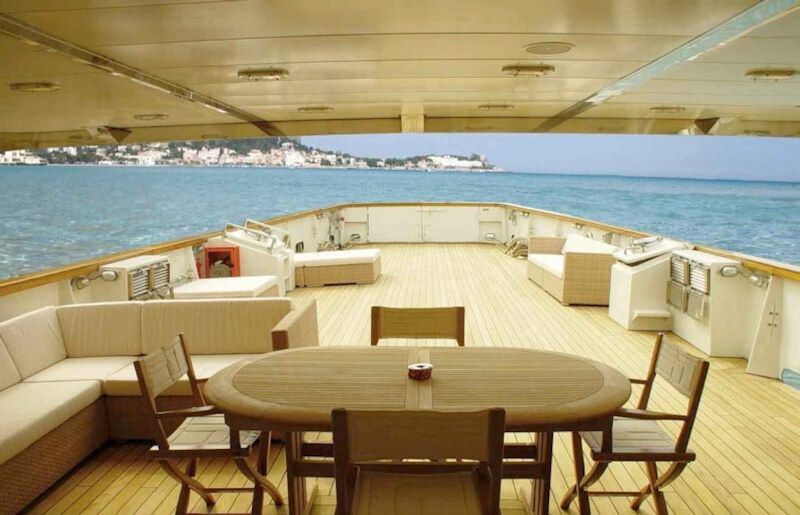 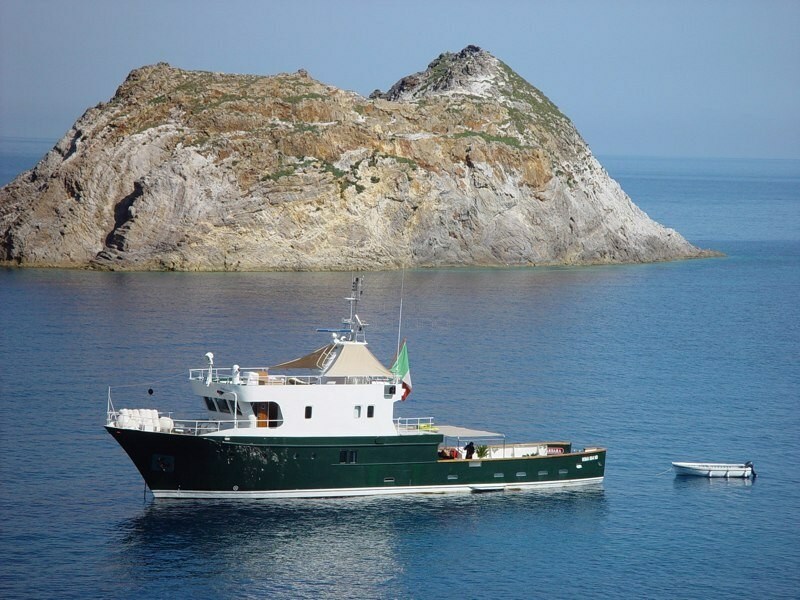 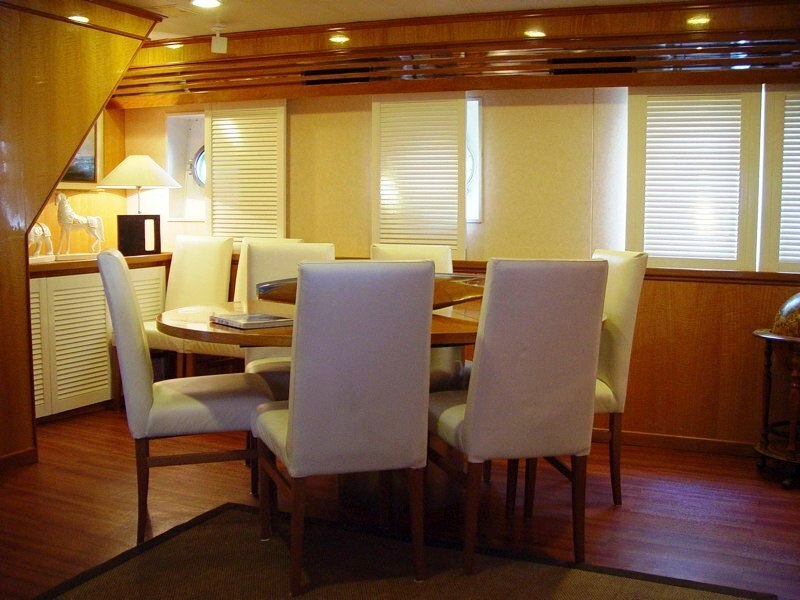 She is able to accommodate up to 10 guests overnight and up to 70 guests for day charters. 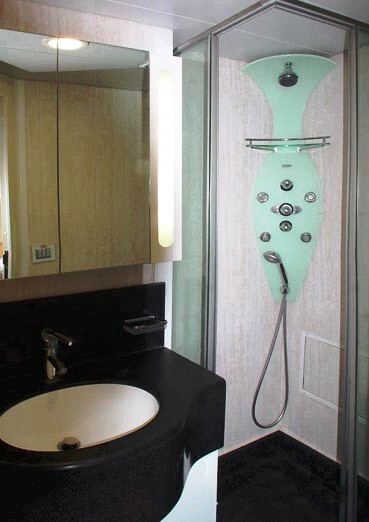 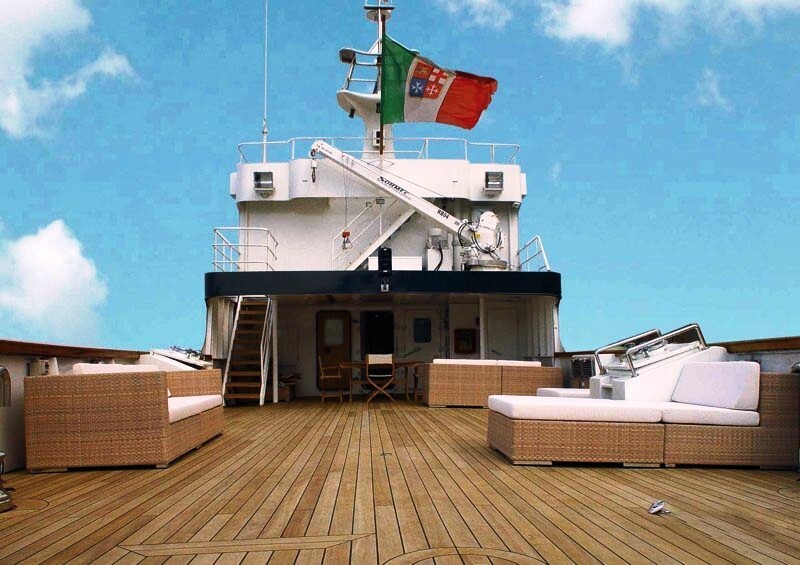 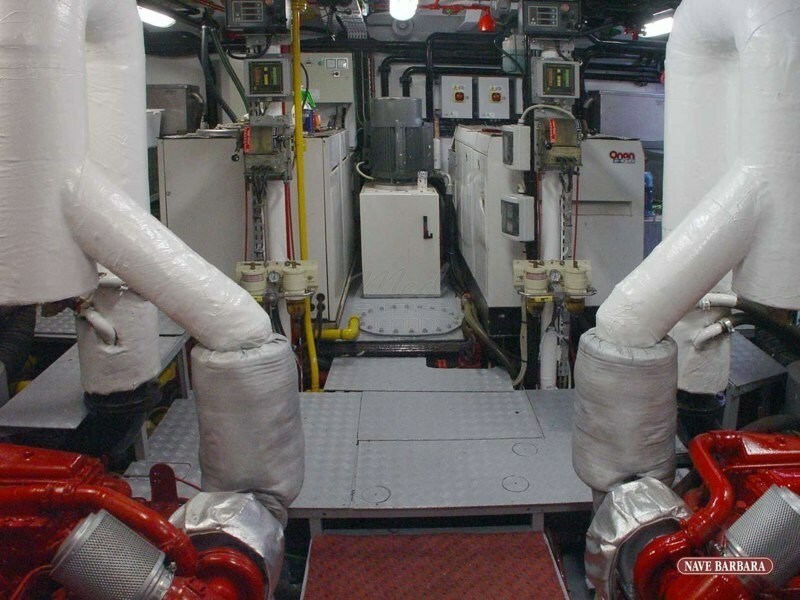 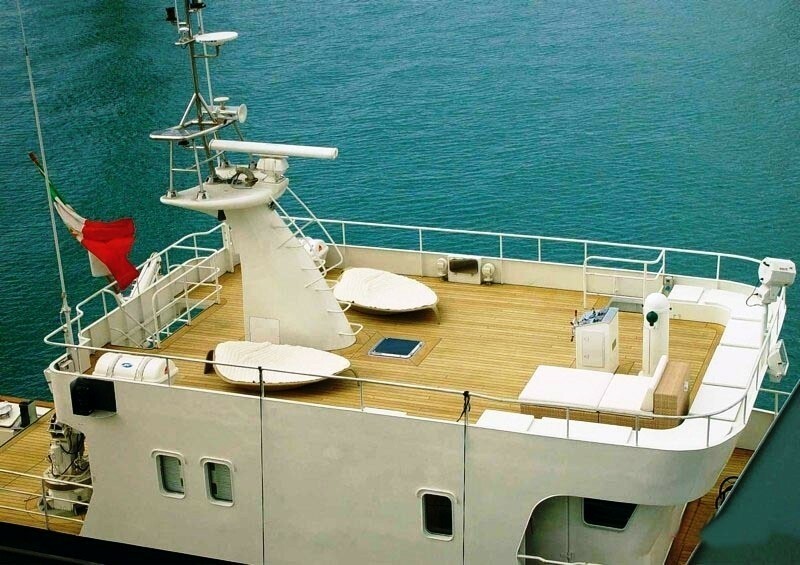 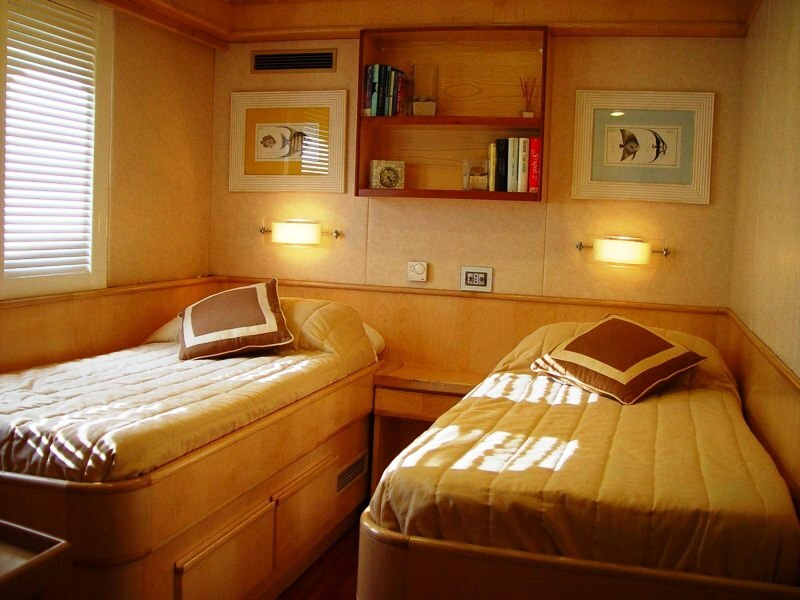 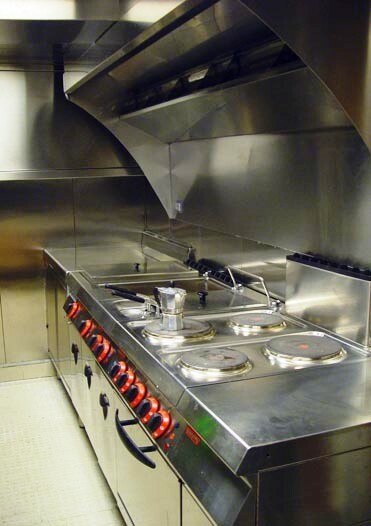 The cabins located below deck consist of 3 twin cabins and 2 double cabins, each complete with en-suite bathroom and Teuco hydro massage shower, plasma television, air conditioning and telephone. 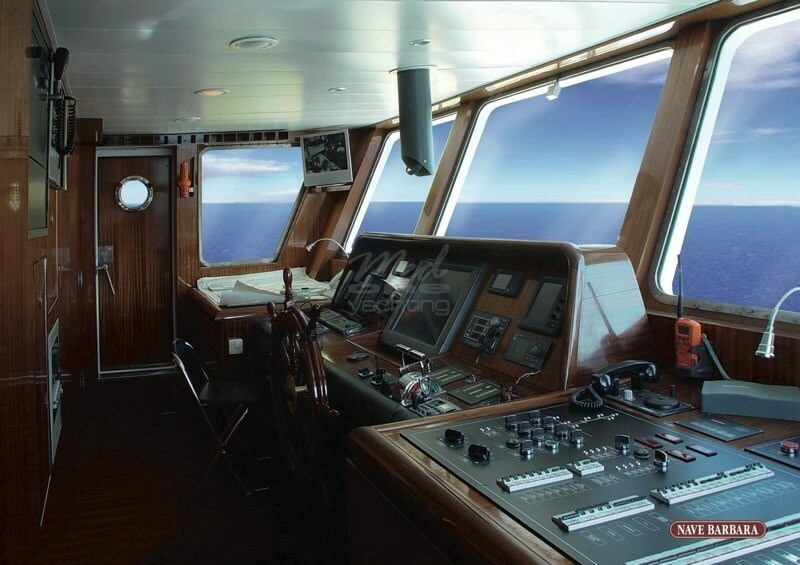 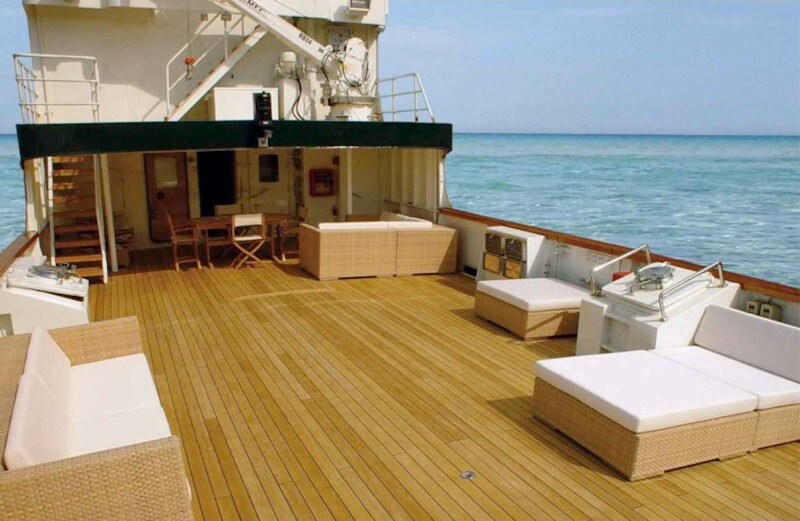 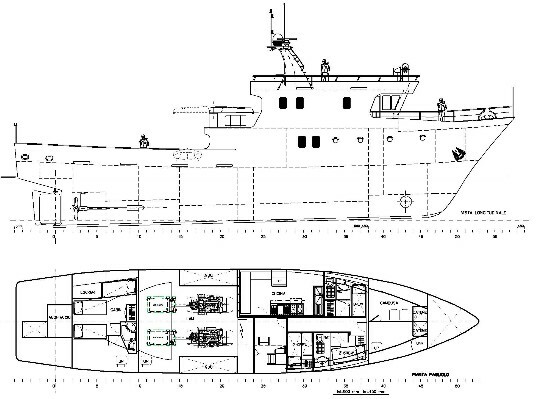 NAVE BARBARA features a large spacious sun-deck and upper deck. 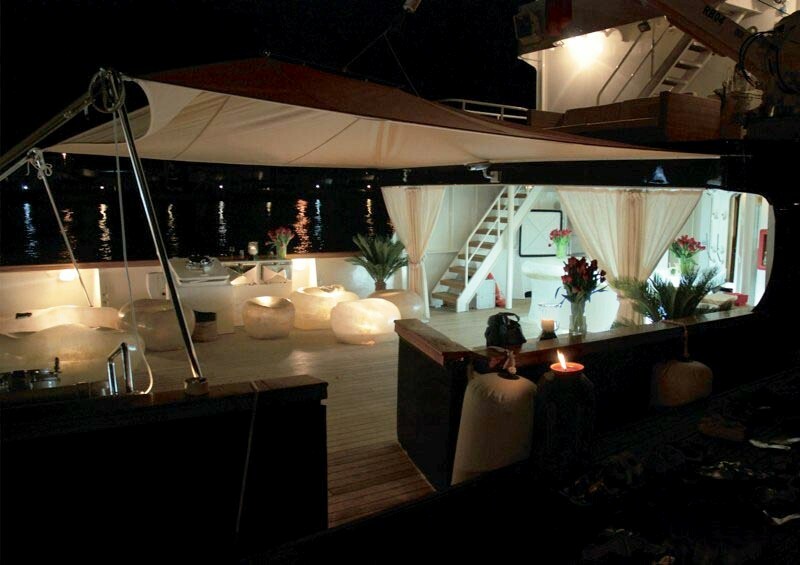 The event deck is over 120 square meters and can be used for many purposes including large gatherings. 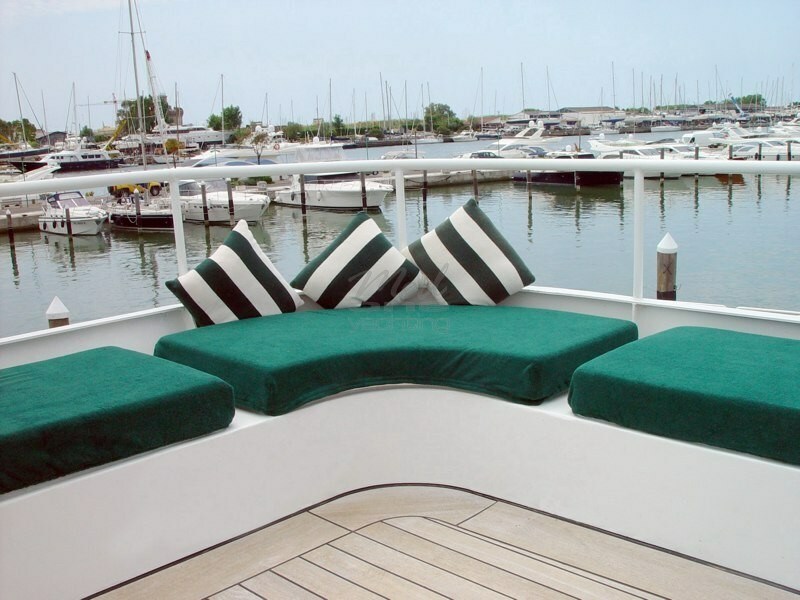 The flying bridge or sundeck is over 60 square meters and is a great gathering point for enjoying the breath-taking scenery or al fresco dining. 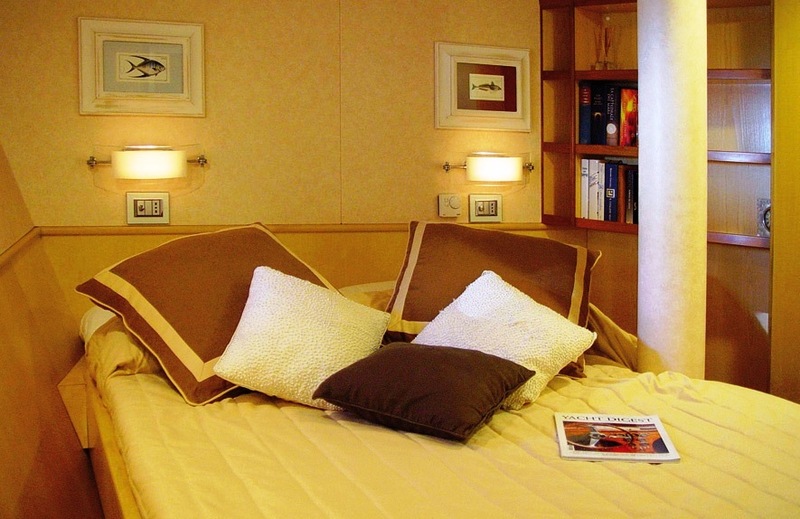 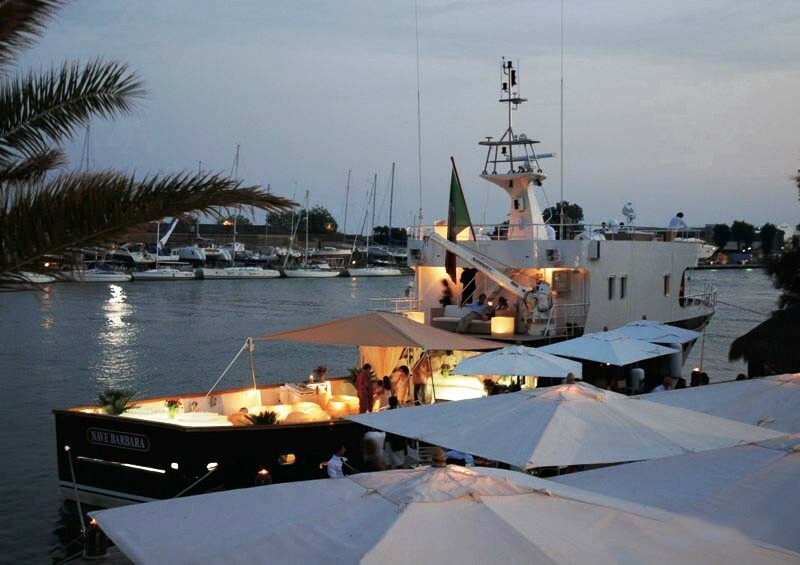 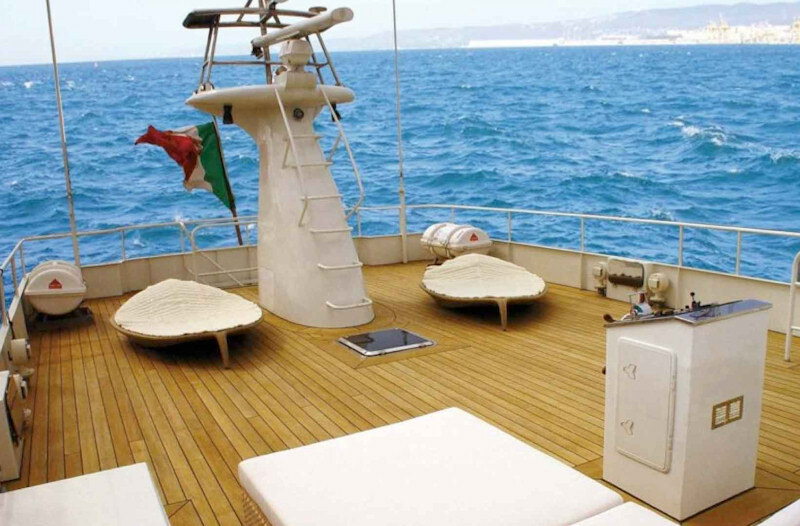 This spacious vessel is able to accommodate up to 10 guests overnight and up to 70 guests for day charters. 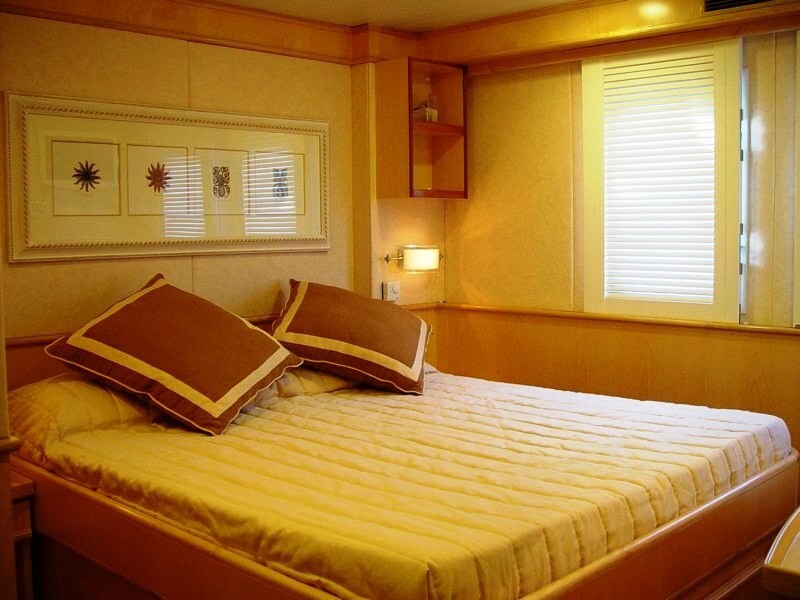 The cabins located below deck consist of 3 twin cabins and 2 double cabins, each complete with en-suite bathroom and Teuco hydro massage shower, plasma television, air conditioning and telephone. 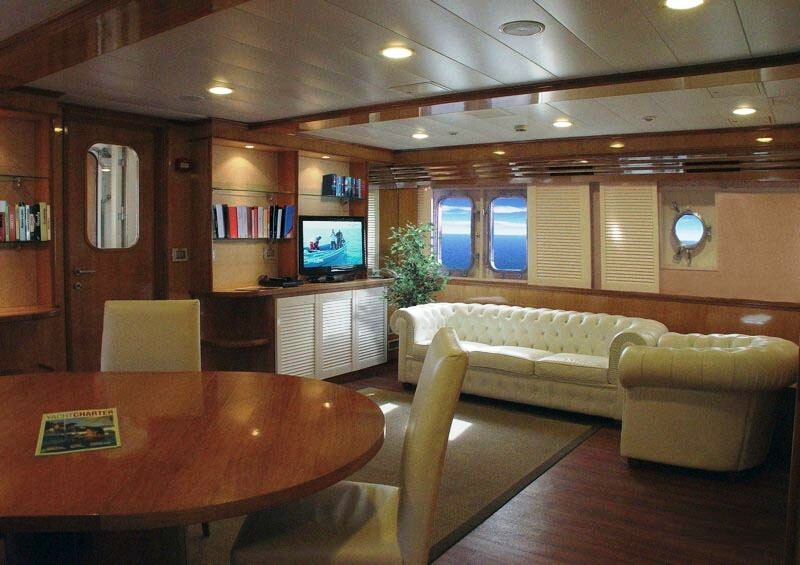 Motor yacht NAVE BARBARA has a Phone, Fax, Internet connection TV, video, and stereo/CD on board, and also a deck full array of toys which includes types of equipment for fishing, diving, snorkeling, and water ski gear.